Wellington, FL (December 1, 2016) — With the winter dressage show season fast approaching in south Florida and the World Equestrian Games scheduled to be held on the United States east coast less than two years from now, top U.S. dressage riders are filled with anticipation. Horse Radio Network’s talk show Horses in the Morning invited one of these riders, Grand Prix competitor Katherine Bateson-Chandler, to the broadcast’s “Omega Alpha Equine Monday Edition” to give the inside scoop on what it’s like to prepare for the show ring as the gaze of international dressage turns to the U.S.
An online podcast of Bateson-Chandler’s interview is now available on Horses in the Morning’s website, in which Bateson-Chandler shares her thoughts on planning for the World Equestrian Games (WEG), the upcoming Winter Equestrian Festival in Wellington, Florida, her bond with her superstar mount Alcazar, and the invaluable boost she gains from training with British Olympian Carl Hester. The road to the 2018 FEI World Equestrian Games (WEG) will offer triumphs and inevitable challenges for standout horse-and-rider pairs who hope to compete in the Tryon, North Carolina event. Bateson-Chandler is already working hard to prepare for the WEG – one of the biggest events on the global sporting calendar – and spent this past summer competing in Europe and training with Carl Hester. To listen to her exciting interview on Horses in the Morning, go to Omega Alpha Equine Monday Edition at http://www.horsesinthemorning.com/11-14-2016-by-omega-alpha-equine-hellos-big-win-bateson-chandler-horse-nation-bucket-list/. For more information about Katherine Bateson-Chandler, visit www.kbcdressage.com. The 2nd Annual Horse Radio Network Holiday Radiothon by Weatherbeeta will kick off a full day of amazing guests with Kristian Bush of Sugarland and Equestrian Legend George Morris. This premier live streaming event, sponsored by WeatherBeeta and Horseloverz.com, runs from 9:00 am to 9:00 pm (ET) on Nov. 28th, 2016, and includes over 20 featured guests, $4,000 in prizes and hundreds of listener calls and voicemails. Find the complete schedule at www.HolidayRadiothon.com. Listen to the live 12 hours at HolidayRadiothon.com or by downloading the free mobile app on IOS or Android – search “Horse Radio Network”. After the live event, a recorded version will be available in its entirety at www.HolidayRadiothon.com. Throughout the show, prizes will be given away every hour, with a grand prize announced at the end of the show. Listeners can enter to win prizes by calling in to the live show between 9 am and 9 pm eastern time at Nov. 28th, 2016 and tell us about your “Fantasy Ride/Drive” – the horse from history or today that you most want to ride and why. Call in number: (435) 272-1997. Top equestrian companies have lined up to offer their goods & services for HRN fans. Prizes from companies including: WeatherBeeta, Horseloverz.com. Noble Outfitters, Redmond Equine, Benefab, Sore-No-More, Total Saddle Fit, Cavallo Boots, Smooth Stride Jeans, Monty Roberts Equus Online University, The Distance Depot, Omega Alpha Equine, Northrun Saddlery, Forever Cowgirl Coffee, Kentucky Performance Products, Biostar US, Linda Tellington-Jones, Equiderma, Equiteemfg.com, Spiced Equestrian and Uncle Jimmy’s Brand Products. See a complete list at: www.HolidayRadiothon.com. Ocala, FL (October 1, 2016) – The Horse Radio Network announced today that they’ve reached a record 5,000 published podcast episodes since the company’s launch in August of 2008 when the network began with just one show, The Stable Scoop Radio Show. Not long after Stable Scoop was born, however, a second show was produced. This one, titled “The 2010 Radio Show” covered all things related to the World Equestrian Games held in Lexington, Kentucky that year. The early success of these two shows became the leverage (and inspiration) for eight more shows produced by HRN, including the wildly popular daily show, Horses in the Morning. Starting with just two hosts and one adventurous sponsor, the Horse Radio Network now features 27 hosts, over six thousand guest segments, dozens of media partners, and some of the biggest sponsors in the equestrian industry. HRN shows cover a variety of interests like carriage driving, eventing, dressage, horsemanship, and life! Listening to shows on the Horse Radio Network is very easy. Listeners can stream or download episodes at their convenience on iTunes, any podcast player, the HRN website, or by downloading the FREE Horse Radio app for iOS or Android. The Horse Radio Network (HRN) is proud to be the “Voice of the Horse World” and home of the most entertaining equine radio shows/podcasts on the Internet. HRN currently produces 10 different shows featuring various facets of the horse industry. For more information about becoming a listener, sponsor, or guest, visit HorseRadioNetwork.com, call (859) 951-2022, or email Glenn@horseradionetwork.com. HRN can also be found on Twitter (@horseradio), Facebook, and Instagram. Eduardo Menezes and Caruschka 2. Photo copyright Sportfot. Wellington, FL – March 16, 2016 – Week ten of the 2016 Winter Equestrian Festival (WEF), sponsored by Horseware Ireland, began Wednesday morning at the Palm Beach International Equestrian Center (PBIEC) in Wellington, FL with a win for Brazil’s Eduardo Menezes and Caruschka 2 in the $35,000 Douglas Elliman 1.45m Jumper Classic. WEF 10, sponsored by Horseware Ireland, features CSI 3* jumper and ‘AA” rated hunter competition running March 16-20, 2016. The week features the $35,000 Ruby et Violette WEF Challenge Cup Round 10 on Thursday, the $35,000 Illustrated Properties 1.45m Classic on Friday, the $130,000 Horseware Ireland Grand Prix CSI 3* on Saturday, and the $35,000 Suncast® 1.50m Championship Jumper Classic on Sunday. The 12-week WEF circuit runs through April 3 offering more than $9 million in prize money. Michel Vaillancourt (USA) is the course designer in the International Ring for WEF 10. First thing Wednesday morning, Vaillancourt saw 63 entries with 17 clear rounds over his 1.45m speed track. Twelfth to go in the order, Menezes and Caruschka 2 raced through the early morning fog to clock the winning time of 59.44 seconds. Richie Moloney (IRL) and Equinimity LLC’s Alsvid finished second in 60.30 seconds. Ronan McGuigan (IRL) and Capall Zidane placed third in 61.39 seconds, and Daniel Coyle (IRL) and Susan Grange’s Tennyson earned fourth place honors in a time of 61.77. Menezes has owned Caruschka 2, a 12-year-old Oldenburg mare (Caspar x Continue), for five years and has a great partnership with the talented mare. She came from breeder Gestüt Lewitz, and Menezes purchased the mare as a seven-year-old after she went to the FEI World Breeding Jumping Championships for Young Horses in Lanaken, Belgium. Caruschka 2 and Menezes will compete next in Friday’s $35,000 Illustrated Properties 1.45m Classic and then compete in three classes during week 11. In the spring, Menezes and his horses head to Europe. Menezes then has his sights set on the Olympic Games in Rio de Janeiro with his top horse, Quintol. Also competing in the International Ring on Wednesday, the $6,000 1.40m speed, sponsored by Illustrated Properties, was held in a California split. Laura Chapot (USA) and Mary Chapot’s Shooting Star won Section A, and Clementine Goutal (USA) and Arao Enterprises’ Caballito topped Section B. The tenth week of competition at the 2016 Winter Equestrian Festival continues on Thursday with the $35,000 Ruby et Violette WEF Challenge Cup Round 10 featured in the International Ring. The High Performance Working Hunters will award championship honors in the E. R. Mische Grand Hunter Ring. For more information and full results, please visit www.pbiec.com. Wednesday morning is our live Annual HORSES IN THE MORNING Holiday Party. The phone lines will be open from 9am to 10am Eastern and we invite all our terrific sponsors, hosts, listeners and past guests to call in with their favorite memory of 2015. The call in number is 435-272-1997. If you are not free, you can leave us a voicemail at 859-474-0261. We look forward to hearing from you all Wednesday morning and have a very Merry Christmas! Ocala, FL (November 12, 2015) – Horse Radio Network is pleased to announce its first annual live 12 Hour Holiday Radio Event: the “HRN Holiday Radiothon,” airing Monday, November 30th, from 9:00 am to 9:00 pm, Eastern Time. This year’s event is sponsored by WeatherBeeta. The HRN Holiday Radiothon will feature 12 hours of programming, including over 20 of the hosts from HRN programs including HORSES IN THE MORNING, Dressage, Eventing, Stable Scoop, Driving Radio Show, Horse Tip Daily, Endurance, Monty Roberts Horsemanship Radio, Certified Horsemanship Association, Mary Kitzmiller and many more. The event is a celebration of the holiday season for horse lovers, as listeners join in with top riders, guests, and celebrities from all over the world to share their favorite holiday memories and traditions. Horse Radio Network founder Glenn the Geek and Dr. Wendy Ying of the Driving Radio Show will host the event. This year’s Radiothon includes over $2,500 in prize giveaways, Equine Rescue highlights, and the chance for listeners to record their own holiday wishes to be aired on the show. After the live event, a recorded version will be available in its entirety at HorseRadioNetwork.com. Learn how to listen in, join in and win prizes by clicking on the Holiday Radiothon banner at HorseRadioNetwork.com. A limited number of advertising spots are still available. To get more information, email Horse Radio Network at the address below. The Horse Radio Network (HRN) is proud to be the “Voice of the Horse World” and home of the most entertaining equine radio shows/podcasts on the Internet. HRN currently produces eight different shows featuring various facets of the horse industry. Their lively interviews and fun segments by horse industry experts and professionals have generated millions of downloads, and garnered fans from all corners of the globe. HRN’s unique format is a mix of entertainment and education that engages listeners in a friendly and dynamic way. For more information about becoming a listener, sponsor, or guest, visit HorseRadioNetwork.com, call (859) 951-2022, or email Glenn@horseradionetwork.com. HRN can also be found on Twitter (@horseradio) and Facebook. Photo courtesy of Pics Of You. Louisville, KY (November 3, 2015) — Fresh off two consecutive wins in Kentucky, where he clinched his historic twelfth USEF National Four-in-Hand title followed by a victory in the FEI2* Four-in-Hand division at the Hermitage Classic CDE, Chester Weber had a chance to sit down with the Driving Radio Show to talk all about his endeavors. Hosts Glenn the Geek and Dr. Wendy Ying of Horse Radio Network covered topics such as the new horses joining the team that Weber and Jane F. Clark have put together, and Team Weber’s extraordinary record twelfth national title. They also took a look ahead at the 2016 edition of Live Oak International driving and show jumping competition, to be hosted by Weber and his family in Ocala, Florida, this February. Weber is featured on Episode 224 of the Driving Radio Show, called “Chester Weber, Live Oak Announcements, and The National Drive.” Find and listen to the episode at any time at www.drivingradioshow.horseradionetwork.com. 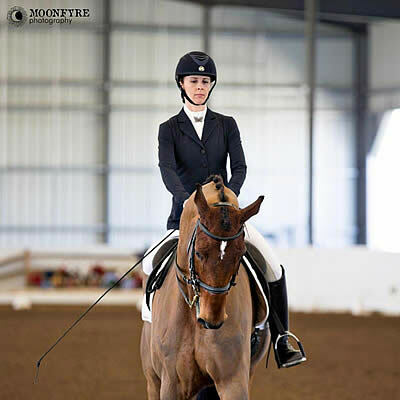 The inclement weather conditions Team Weber faced in Lexington to win their twelfth USEF National title, particularly in the Marathon phase, did not deter them from reaching their objective. “By European standards, it wasn’t muddy at all,” he grinned. “Our goal this season was the national championship, with a different grouping of horses. So it was a nice testament to have that, that this new group of horses could hat trick and win across all three phases,” said Weber. Nor does Team Weber. Follow news, live posts, video and photo galleries of the national champion team, and their preferred product reviews at www.chesterweber.com. Find and listen to the episode at any time at www.drivingradioshow.horseradionetwork.com. Ocala, FL (September, 28, 2015 ) – As the number one equestrian podcast network in the world, Horse Radio Network will be celebrating International Podcast Day by hosting Horses in the Morning live from Tri-Circle D Ranch at Disney World in Orlando, Florida. Hosts Glenn the Geek and Dr. Wendy Ying of the Driving Radio Show will entertain fans of all ages with fun and interesting conversation about how horses are incorporated into the magical world of Disney. Discussion will include all the horse activities at Disney World, how they select and train the horses, and Walt Disney’s love of horses. September 30th is International Podcast Day, which aims to promote podcasting through a series of educational events, shows, and public engagement. Podcasting technology became popular in 2004 when Apple’s iTunes service began distributing both live and archived audio shows to listeners around the globe. As of today, iTunes has logged over 1 billion podcast downloads. Listeners can tune in to the live show at 9:00 am (Eastern) at HorsesInTheMorning.com or they can access the archived show thereafter via the HRN App. Just search for Horse Radio Network in the iOS or Android App Store. The Horse Radio Network (HRN) is proud to be the “Voice of the Horse World” and home of the most entertaining equine radio shows/podcasts on the Internet. HRN currently produces eight different shows featuring various facets of the horse industry. Their lively interviews and fun segments by horse industry experts and professionals have generated millions of downloads and garnered fans from all corners of the globe. HRN’s unique format is a mix of entertainment and education that engages listeners in a friendly and dynamic way. The “Movers and Shakers of the Horse World” rounds out its 2015 season on Tuesday, August 25th at 8:00pm EST, 5:00pm PST with Glenn the Geek, founder of the Horse Radio Network (HRN) (www.horseradionetwork.com). Since the early days in 2008, HRN has grown from its first 12 listeners to over 130,000 and has produced over 4,200 episodes. That’s ultimately why the Horse Radio Network has been named one of the top five podcasting networks on the internet! Their shows are just plain fun and people love them! Hosting many of HRN’s shows such as the Stable Scoop Radio Show, Horses in the Morning and the Driving Radio Show, Glenn has been an extremely influential force in the horse industry for years, and continues to make a difference every day. That’s why he’s been named a Mover and Shaker of the Horse World! You’re invited to join us as we get to know Glenn and listen to the exciting stories of his career in the horse world! To register for this free, live teleconference, visit: http://bit.ly/1I3cJ7q. Following the event, all registrants will receive a link to the replay as well as all previous episodes, allowing for convenient, ongoing listening. To stay informed of upcoming events, join the Movers and Shakers of the Horse World social media networks on Facebook at: https://www.facebook.com/moversandshakersofthehorseworld and on Google+ at: https://plus.google.com/b/113655547714916466822 or subscribe to the enews updates at: www.howtomarketyourhorsebusiness.